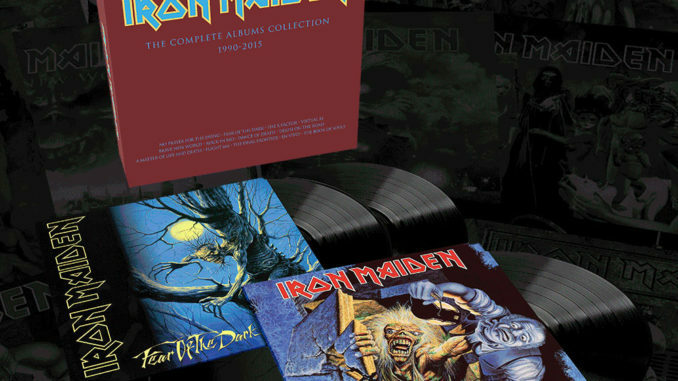 HomeNewsCheck out these awesome animated Iron Maiden album covers! Iron Maiden are arguably the most visually rich band in metal, largely down to the many incredible incarnations of their mascot, Eddie. As featured on their official Giphy page, Maiden have been revisiting and animating album covers from their 1990-2015 era (including the 2 Blaze Bayley records! 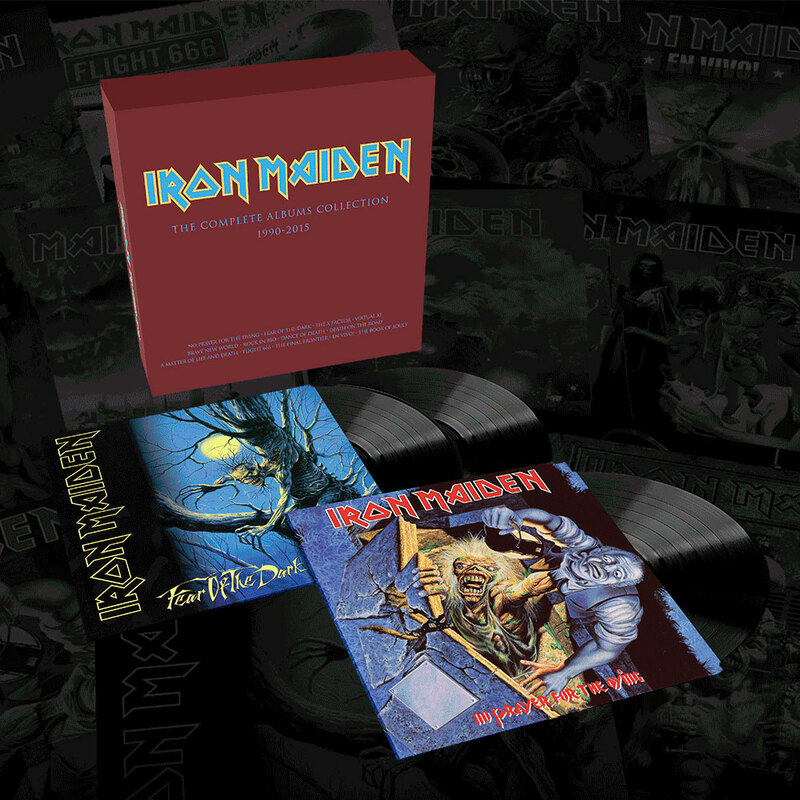 ), to promote the release of ‘The Complete Albums Collection 1990-2015′, which sees 12 modern classics re-released on 180 gram heavyweight vinyl, alongside a collectors box – which sees their iconic logo appear in Steve Harris’ beloved West Ham United colours. Click here to find out more. In chronological order, here are the animated covers we’ve seen so far! The original album sleeve has been restored (you’ll notice a slightly different cover on Spotify), with Eddie popping out of a crypt to surprise an unsuspecting undertaker with a grip on his throat. Eddie as a creepy tree in the moonlight. We can definitely see where someone’s achluophobia might come from if you saw this regularly. 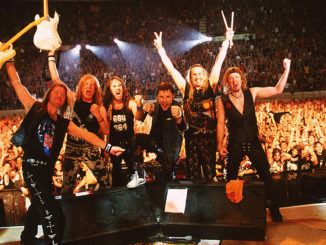 Iron Maiden’s first album with singer Blaze Bailey saw Eddie in a pretty bad way… with a simultaneous lobotomy, electrocution, dismembering and blood transfusion. Ouch. Iron Maiden predicting the rise of VR headsets nearly 20 years before their commercial breakthrough on their second and final album with Blaze Bayley. Bruce Dickinson returns and Eddie appears as a storm cloud overlooks a dystopian futuristic London. Nicely done! The first of 4 live albums in the collection sees storm cloud Eddie return to terrorize the stage. Rumour has it that the original artist of this controversial cover, David Patchett, asked for his name to be removed from the credits due to them using an unfinished version. We can’t wait to see what they do with the remaining albums, Death On The Road, Flight 666, The Final Frontier and En Vivo!